Not happy with the finish of your makeup even after using the best quality products? It might not be your makeup to blame at the first place. No makeup can give you the professional air brushed look unless it has been applied only in the best way. For perfect makeup application you need the right tools. So, yes, if you are not happy with the finish of your makeup, it might be your makeup brush that needs a change. Makeup brush sets are available in wide price range. There are makeup brush sets that costs less than $5 and at the same time there are the ones that will cost you over $500. 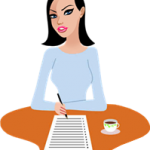 You can even find some more expensive options by the different signature brands used by professionals. 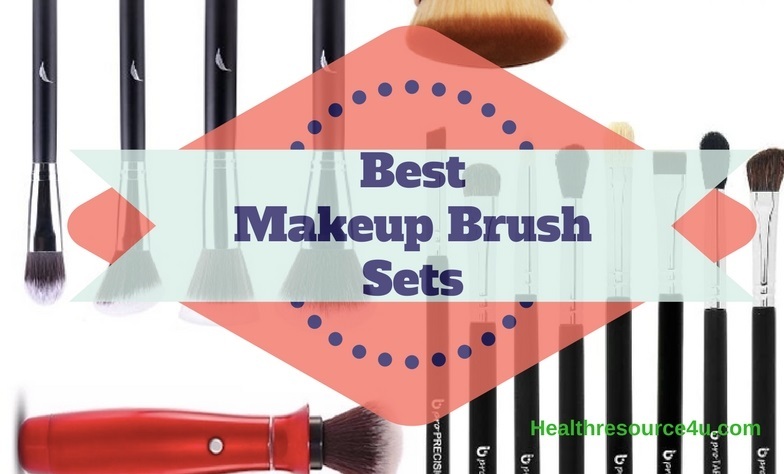 If you are in the lookout for the Best Makeup brush sets for the professional look, you are lucky as we have already compiled a list of the best makeup brushes right here for you. Don’t worry; we have considered all the factors starting from the price to the quality and ease of carry to come up with this list, so that you can make your choice easily. Say bye to patchy blush finish for ever, with this professional collection tools of the trade brush set from Sephora. 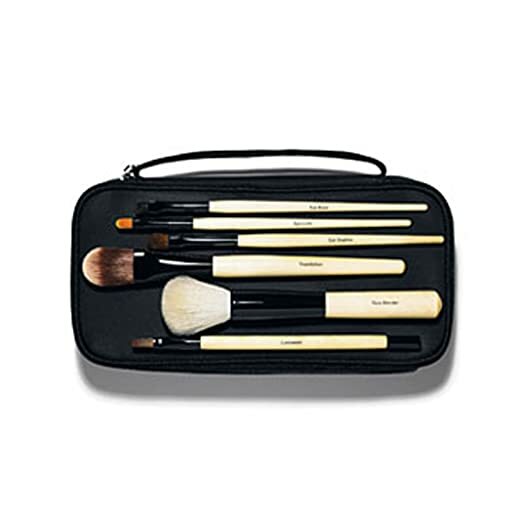 Be it highlighting your cheekbones or getting those sharp cat eyes, this 8 piece makeup brush set is all that you need. Truly it is the Best Makeup brush sets for the professional look unless you consider the price tag. However, the quality as well as the finish of the product truly justifies each penny of its price. 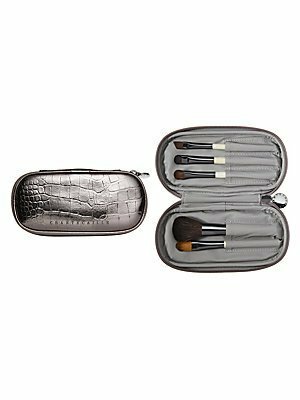 It comes with a set of 8 makeup brushes that can be rolled up in a travel friendly case. The bristles of each of the brush are super soft and moves smoothly even if you are using it on dry skin. The light color of the bristles is the other point to note, which makes it easier to check the quantity of product you are applying. 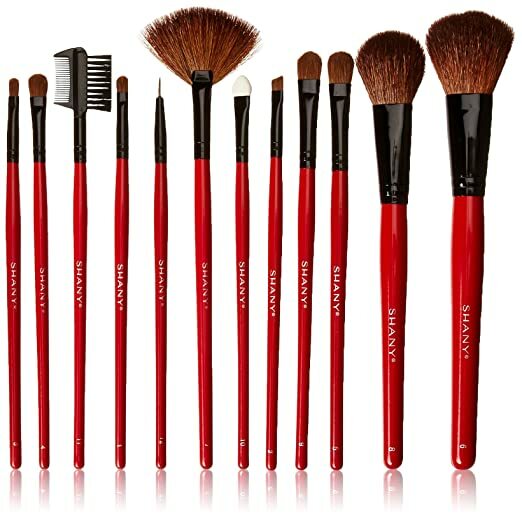 Another noteworthy player in the market of the Best Makeup brush sets for the professional look is Sigma brush sets. The collection is good and though it is much less expensive compared to most of the brands used by professionals, it gives a pretty good finish to your makeup. The set contains total 7 high quality and precision –designed brushes. The best thing about this brush set is that the fibers used in it are synthetic and yet they compete neck to neck with animal hairs. These fibers have been engineered in a way so that they look and feel the same as the natural fibers but are free from animal cruelty. 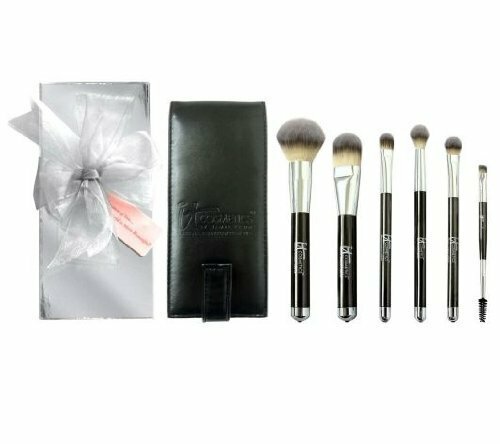 The 7 brushes included in this set can satisfy every type of your makeup, contouring and precision needs. 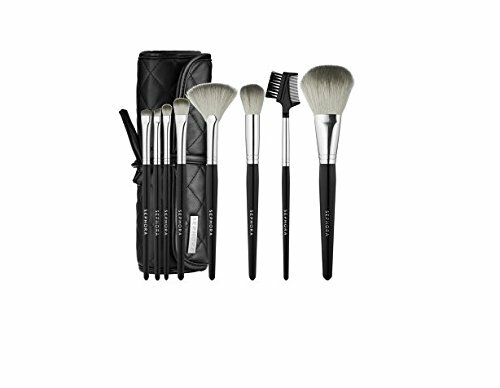 The brushes of this set can be used for application of foundation, concealer and eyeshadow. There are also brushes for contouring, highlighting as well as detailed artistry. This is one of the best makeup brush sets that you can get for less than $100. Only the brand of this makeup brush set might have already told you that to make these ones yours you will have to spend a fortune. This makeup brush set that claims to be one of the top most quality brushes available comes for a price tag that is not really decent. However, if you are ready to make that level of investment to ensure that you get the perfect air-brushed look every time you put on makeup, this one is certainly a good pick. The bristles are soft as expected and make blending as well as highlighting really simple. If you are looking for maximum precision and artistry in your makeup, this makeup brush kit can satisfy your need. Another most important thing about this brush set that you might like to know is that it is a long lasting one. If you take the right care of these brushes they will last you years without shedding. The Bobbi Brown Basic Brush Collection which is no doubt one of the Best Makeup brush sets for the professional look in the higher price range comes with total 6 brushes. There are specific ones for foundation application, concealer, blending as well as for eye shadow and eye liner application. 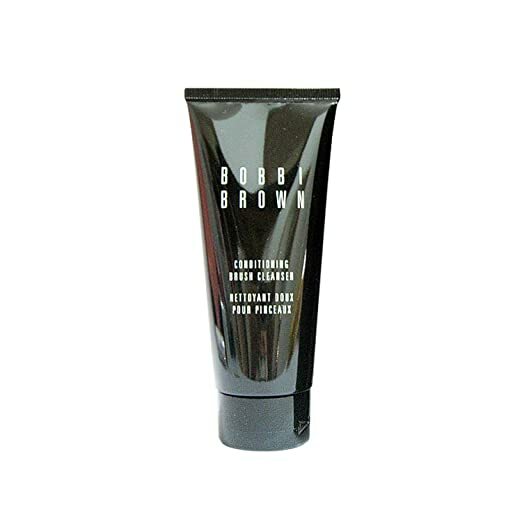 The eye brow brush efficiently combs the brows giving them a neat look. All these brushes come tucked in a convenient black case. 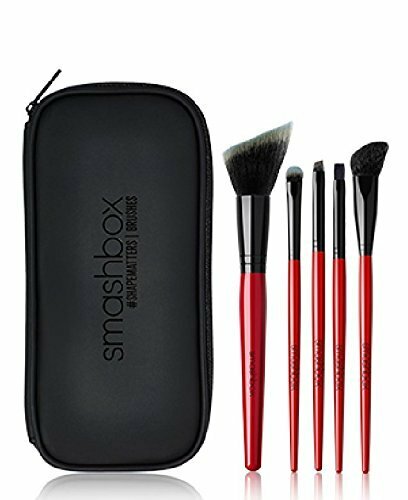 Smashbox Studios brings to you a set of 5 essential makeup brushes to re-define your facial features. To add depth and dimension to your face, these professional quality makeup brushes are a must. The brand claims that these are the handpicked brushes that they use in their professional studio for day to day makeup needs. Be it sculpting the jawline or getting that perfect smoky eye look, these ShapeMatters brushes will not only make it perfect but also a lot easier and less messy for you. 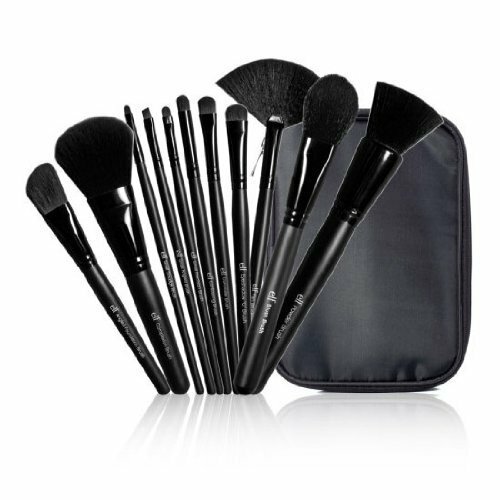 The set include, all over contour brush along with a targeted contour brush to ensure that you get a sculpted look. The brow brush can double as an ultra-fine liner brush and the lip shaping brush is perfect to get those luscious and sculpted lips in minutes. The eye shaping brush can be used for swiping, sweeping as well as blending the eye makeup to get a professional look. All these brushes come with a travel friendly black pouch, to make storage simple. The unique thing about the smashbox #ShapeMatters Brushes is that they come with shaped ends that make them much easier to reach every corner of the face to accentuate the best sculpted look. It is one of the most expensive makeup-brush sets in this list. If you are planning to get these tools, it is best to start saving. As far as the quality of the 5 brushes included in this set is concerned, you will never have a complaint. The brushes are made with best quality fibers produced from a combination of synthetic and nature derived products but not animals. The bristles are super soft and can be highly effective to give an air-brushed finish to your makeup. The unique thing of this expensive brush set from Kevyn Aucoin is that all the brushes in this set are dual ended. So, actually what you get is 10 brushes packed in a tiny and textured black faux leather case. The set is nicely curated to accommodate in purse and is very travel friendly. If you are the one who is keen to touch ups on the go, this set is absolutely a must for you. According to the reviews, the only thing that might disappoint you about this Kevyn Aucoin The Expert Brush Collection Travel Set is the tiny sizes of the brushes. Many have complaints that the length of the brushes of this set makes application difficult. However, this is why these are called travel set as they accommodate nicely in any purse. 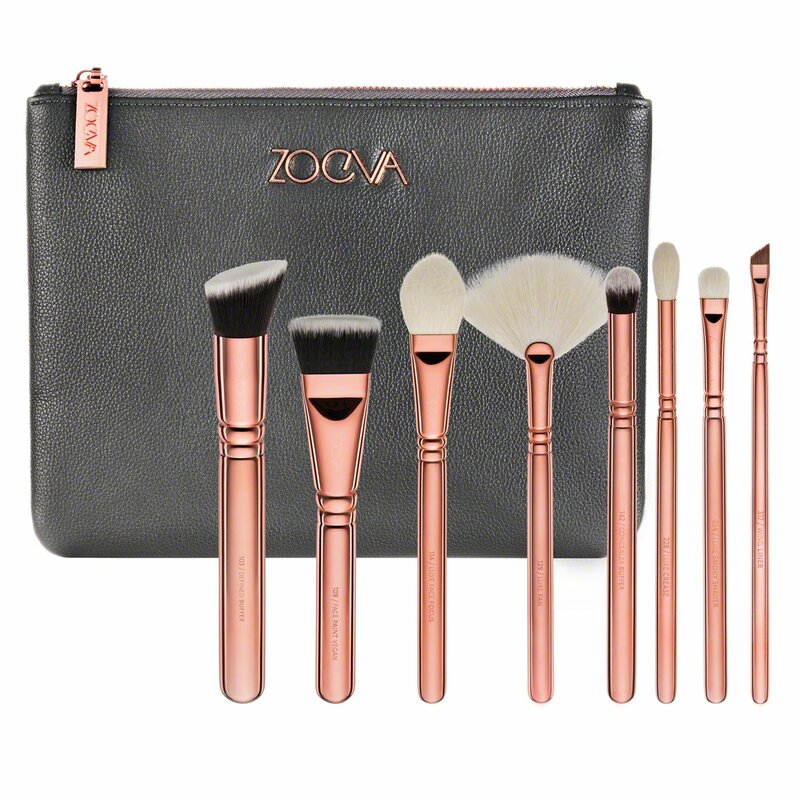 Zoeva has launched the third edition of their rose golden luxury brush range and it is truly breathtaking to say the least. This collection of 8 brushes with rose golden ferrules and handles look absolutely stunning. However, they do not only look good, they also perform. The bristles of the brushes are super-soft and yet densely packed. Each of the brush provided in this set is sure to make a place in your everyday makeup essentials. The set includes a special Luxe fan brush that gives maximum flexibility to blush application. There is also a face paint brush for shaping with liquid and cream based products. This brush set looks marvelous and works nicely to meet your all type of makeup needs. The lighter shade of the top of the bristles also makes it easy to get how much product you have picked. The set of 8 comes packed in a black faux leather clutch type bag with a rose golden chain and branding. Forget patchy makeup finish and say hello to professional look with this 6 brush set from It Cosmetics. The set has got great reviews for its super soft bristles as well as the efficiency to ensure best application and blending of makeup. The 6 essential brushes stand out in quality and gives years of service without shedding. The brushes have been made from 100% synthetic fiber and yet they are soft enough even for the most sensitive skin. The set comes with a nicely designed travel case, which makes it simple to pack and carry these essentials even in your purse. This makeup brush set is not cheap but the price is absolutely reasonable compared to the quality and service offered. e.l.f. 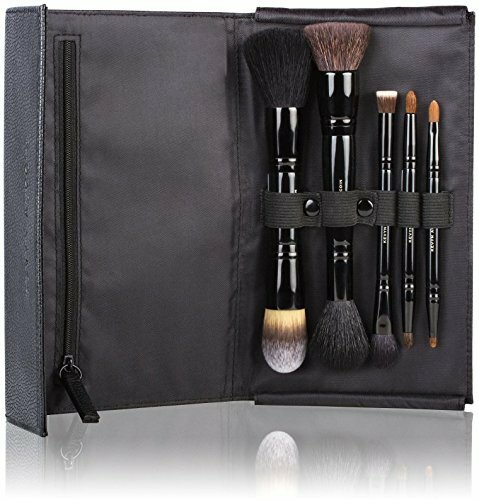 Studio 11 Piece Brush Collection Black is not only one of the Best Makeup brush sets for the professional look it is also a reasonably priced high quality brush set for regular use. The variety of 11 brushes covers your every type of makeup application needs efficiently. This top of the line professional product has been designed to ensure not only proper application but also highest level of precision in makeup finish. The brushes have a stylish look and the all black color is sure to grab the attention. The bristles are super soft, which makes it ideal for use on every type of skin. These brushes are easy to hold and save a lot of time in makeup application. If you are newbie to the makeup world and is not very confident about spending more in a makeup brush set, this set of professional makeup brushes can be a good option for you to start with. The angled foundation brush, small angled brush, precision brush and fan brush are the most raved ones from this set. However, the eyeshadow “C” brush or the contouring brush does not lie behind. This set of 11 makeup brushes comes along with a water resistant, sleek and black makeup case for ease of storage and carry. When it comes to all-time favorite makeup brushes there is hardly anyone who will not opt for the Morphe brushes. This set of 15 brushes has been a favorite of professionals and newbies alike. This set not only gives you the maximum number of brushes but also a cute travel friendly roll to keep all of them safe and easy accessible. The set is also great for travel. This extremely versatile collection of brushes gives you maximum freedom in application of liquid, cream or powder makeup products quickly and perfectly. The brushes are soft and are made from high quality synthetic fiber. It includes a number of angled and chiseled brushes that makes it really super easy to get that well chiseled look. The brushes are great for application as well as blending and contouring. They will also last you a long time without shedding, if taken care of. 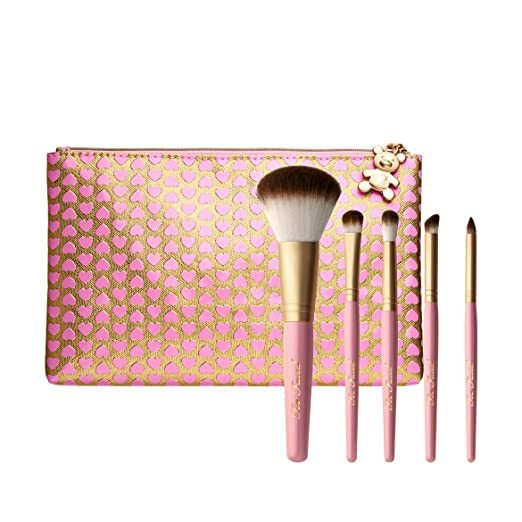 If you are looking for all your makeup essential tools in a small pack, this Too Faced professional 5 piece brush set is what you need. This all-in-one set can actually meet all your makeup application, blending, highlighting and contouring needs super efficiently. The 5 brush set comes with a bigger application brush along with 4 smaller precision brushes for not only your eyes and lips but also to reach the corners of your face more efficiently to curve out a chiseled look. The other important thing that we should tell you is that, the fibers of these brushes are not made from Teddy Bear hair!! So be rest assured you will not take part in animal cruelty by spending on these. The super soft, teddy bear hair like soft bristles are a product of advanced technology and are completely synthetic. The brushes are great to hold and save time on makeup. They come packed in a very girly looking pink and golden bag that you are sure to love. This makeup brush set does not come cheap, particularly when you consider that you will get only 5 brushes in this price, but it certainly serves all your needs without crossing your budget too much. The Chantecaille Travel Brush Set is certainly one of the most expensive contenders in the list of the Best Makeup brush sets for the professional look. 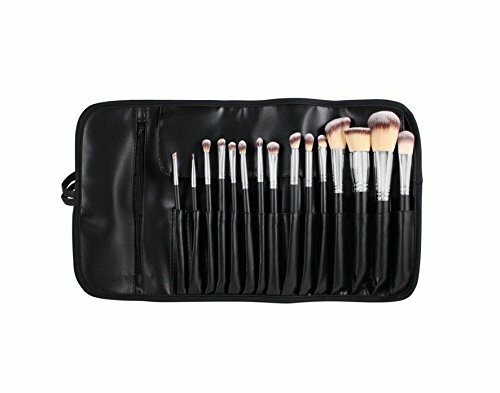 Before we go into the review or how it has fared according to the expectations, let us make it clear that it is a travel set and hence if you are looking for full length makeup brushes, which might be more suitable for the not so experienced makeup enthusiasts, this set is not ideal for you. This makeup brush set from one of the top most luxury cosmetic and makeup brand certainly comes with lots of expectations. These brushes are of good quality, they are effective and great for travel. In fact, they perform nicely for everything that they claim to offer and the only negative point that you might catch for this item is nothing else but the price. 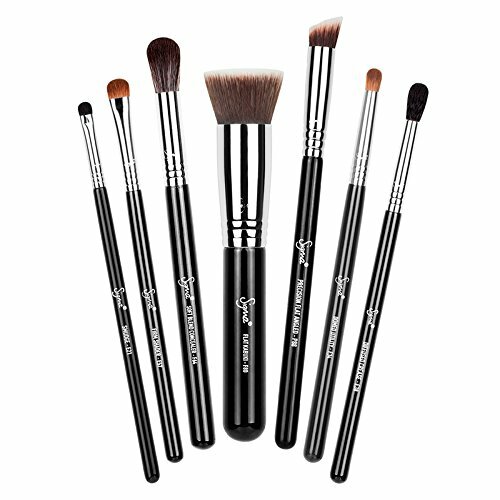 The 5 brushes available in this set are extremely light to hold and easy to use. The bristles are soft and great to catch pigment. Application, blending, contouring and smudging all is easy with these brushes. The best thing about this expensive set is that it will last you whole life if you care for it properly. So, after all it is not a bad investment in anyway. This one is one of the most budget friendly brush-set in the list of the Best Makeup brush sets for the professional look. You get 12 pieces of good quality, professionally crafted brush along with a pouch for a price that is surely going to make you happy. If you are a newbie, this one is an ideal brush set to start with. This one is also a best seller from the brand. All the brushes that you get in this set are handmade and the roll up pouch makes the set ideal even for travel. The brushes have been made with a combination of synthetic and cruelty free animal hairs and are perfect for flawless application of makeup. The fibers are densely packed and offer remarkable longevity. If you are investing in a makeup brush set you must be willing to keep your investment intact for quite some time. The high end makeup brushes claim to last you a lifetime if taken proper care of. Taking care of your makeup brushes is not rocket science neither it will need a lot of time. Just being careful about how you use and store them can go a long way in ensuring the best service. However, the most important part in taking care of a makeup brush is cleaning it regularly. Regular cleaning of the brushes is important not only to make sure that the brush last long but also to keep your brush from becoming a den of pimple causing bacteria and germs. Unless you clean your makeup brushes properly and regularly you can also see a downfall in their performance due to clumping of the left over product in the bristles. • Some makeup brushes come with particular cleansing, drying and storing instructions. It is more common for the professional makeup brushes that come for a fortune. So, if you are making a good investment on your makeup brush set, do not miss to check out the care instructions minutely. 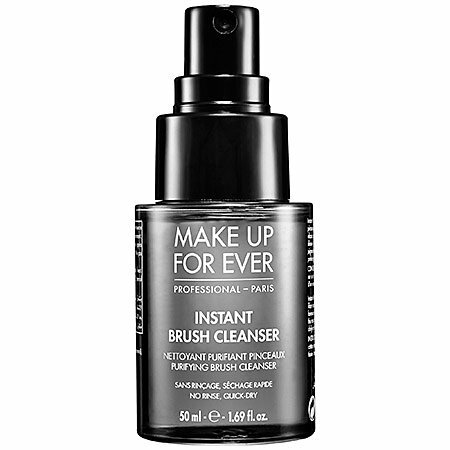 • You can also use a particular makeup brush cleanser to ensure that your brushes are cleansed and conditioned properly. If you are buying the brush set of a brand that also has a brush cleanser, it is only wise to purchase them both together. Though we recommend using a professional brush cleanser, particularly for the high end brushes, if you are not ready to spend again on a cleanser, you already have a substitute ready in your home. Baby shampoo can do really well when it comes to cleansing the makeup brushes. They clean and condition the brushes gently and efficiently. 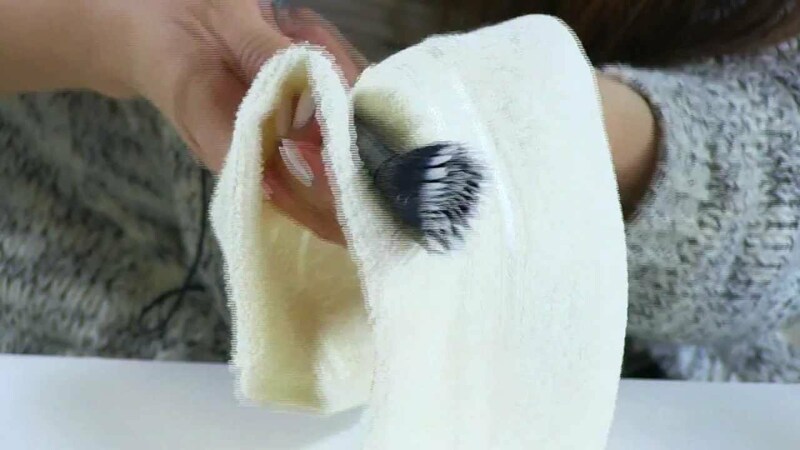 Just do not forget to shape the bristles in the right way while blotting out the excess water and let the brushes get completely dry in the air before storing.